Organizations are embracing diverse methods to reach their customers and make their experience richer. In doing so they risk increasing exposure to Cybersecurity threats, legal regulatory pressures, and transformational risks. 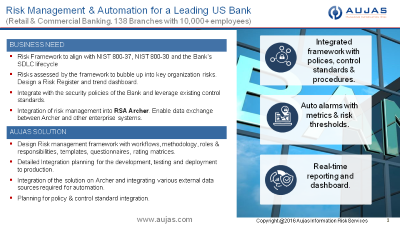 Aujas Risk Advisory practice helps by designing, deploying, and management of information security programs, including the underlying Governance, Risk and Compliance Management frameworks. 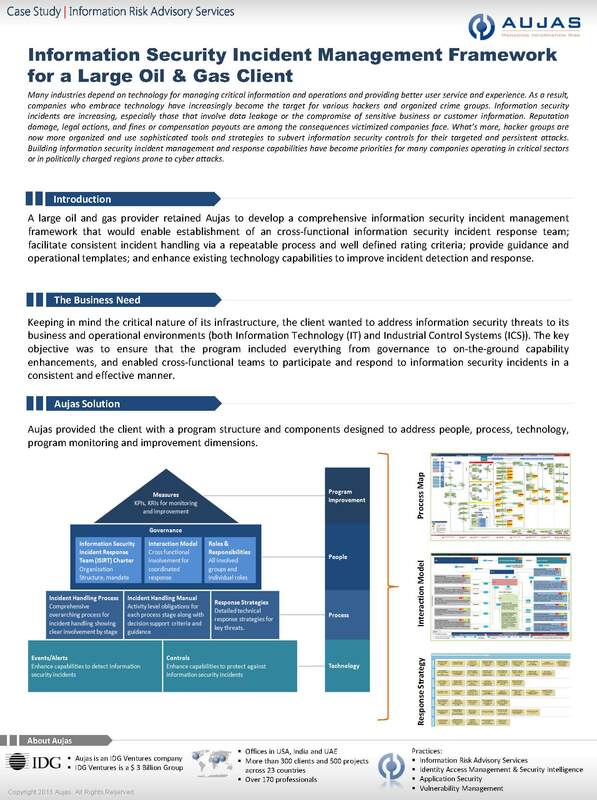 We assist organization define Cybersecurity programs, strategies along with roadmaps for alignment with various relevant Cybersecurity frameworks such as NIST CSF, FFIEC CSF, NYDFS CSF, HITRUST CSF including international frameworks like RBI and SAMA. 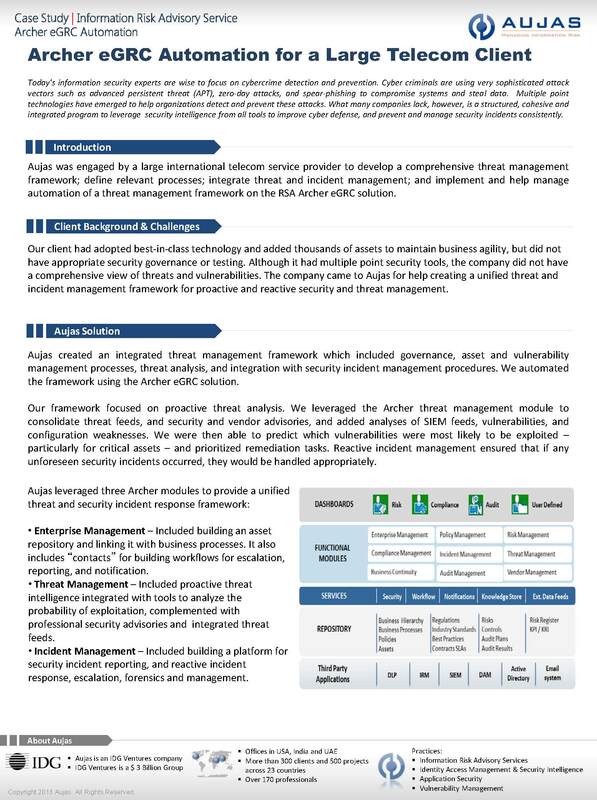 We have very strong design and delivery capabilities around GRC process automation especially using RSA Archer eGRC suite. We not only help our customers by designing Cybersecurity, GRC and other Risk management framework ground-up for extreme automation but also business processes and workflows. 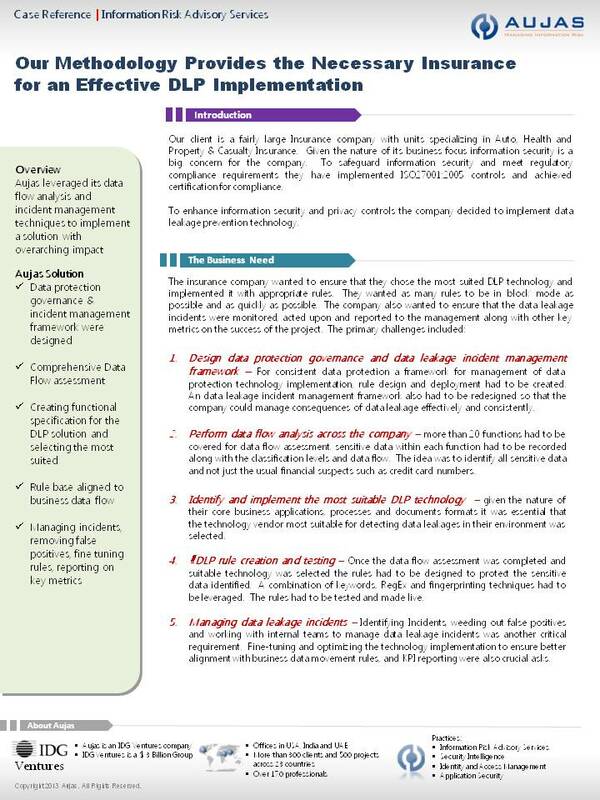 We assist in configuration and integration of solutions to deliver enterprise scale automation. Specifically, we have established a RSA Archer Center of Excellence (CoE) that delivers sustenance and managed services to our customers and help us develop skills and accelerator solutions for our customers. These solutions are showcased on our RSA Archer AppStore and at RSA Exchange. We provide comprehensive Third-party risk management services, including: third-party risk management framework and process development, third-party risk assessments (onsite as well as remote assessments) and third-party risk assessment automation platform offered as a service for turn-key delivery of third-party risk assessments. Our VendorAssure platform powers the automation required for running an efficient, consistent and analytics driven risk assessments. Assisting organizations assess and manage risk and compliance in alignment with industry best practices and regulatory requirements such as: NIST 800-37, NIST 800-53, ISO27001, ISO22301, PCI DSS, SOX, HIPAA, NYDFS, GDPR, and other domestic and international requirements. 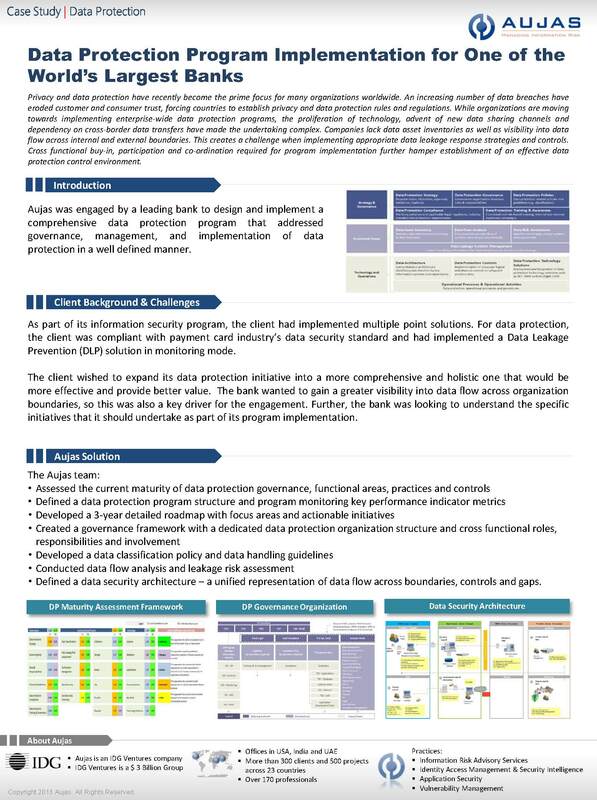 With the focus on data protection continuing to increase, we provide services and solutions that help our customers establish or align security and privacy programs with regulatory requirements and best practices such as GDPR and Data Governance. We have also developed a lightweight yet feature rich data classification solution called Tattoo, to help enforce data classification across the enterprise. We provide combination of skills and services to support and power the CISO offices of our customers. The services include a packaged set of activities over a period of time that is delivered by our experts. We also provide solutions to augment our services and deliver exceptional value to our customers. Our RSA Archer CoE helps us deliver exceptional delivery efficiencies, skills and solutions. 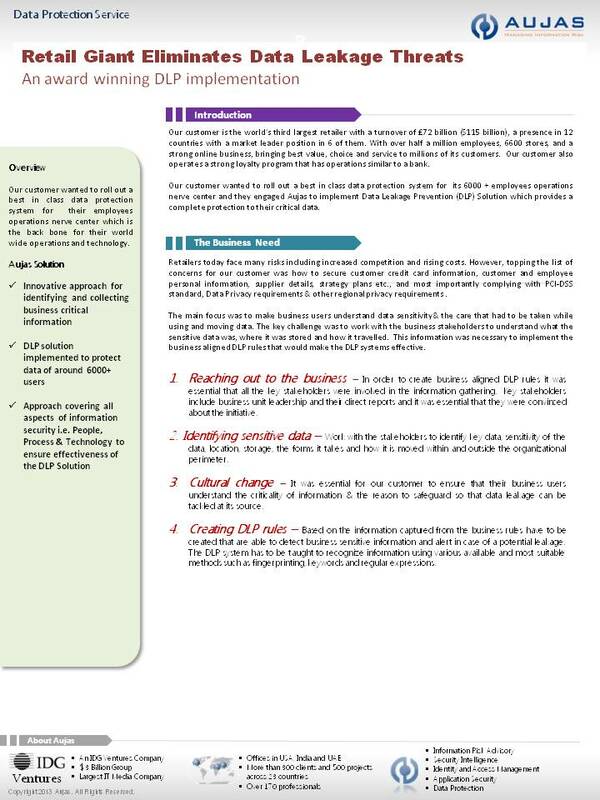 Data classification enforcement simplified. 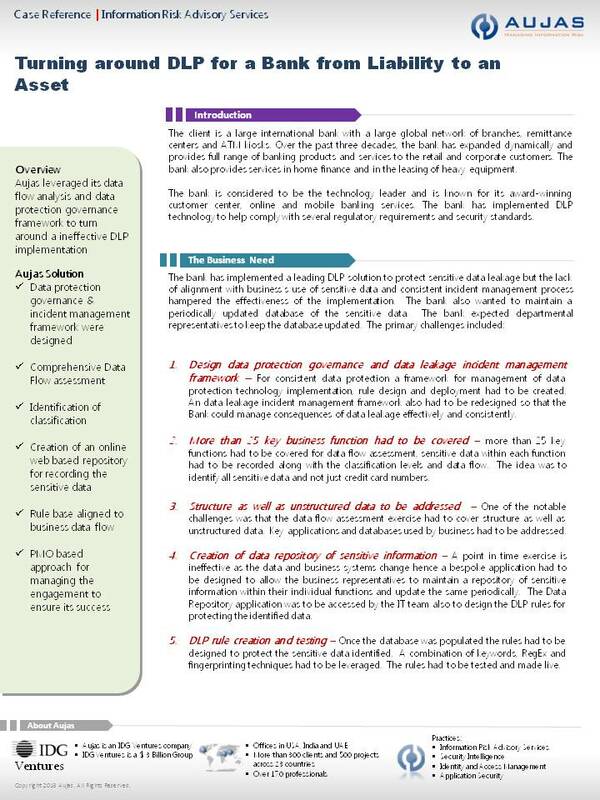 Our solution works to enforce data classification of common type of unstructured data. 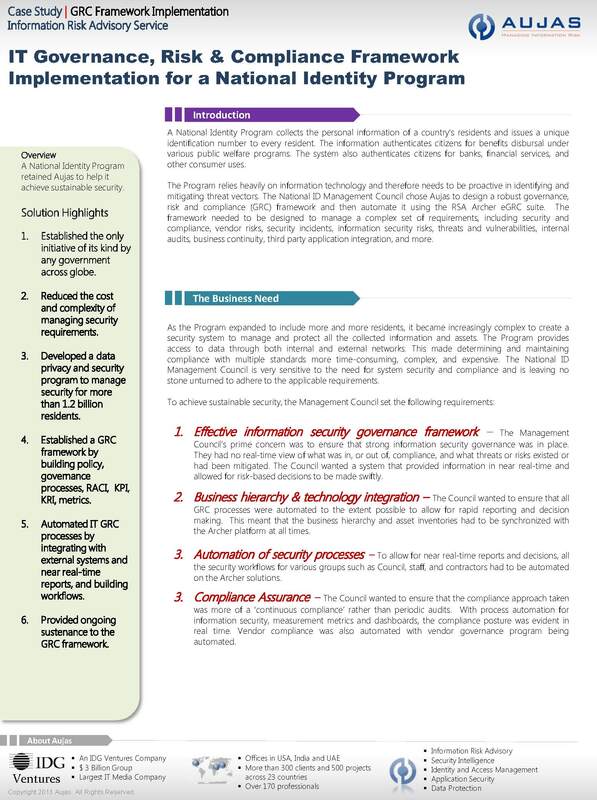 Turnkey ‘solution packages’ for popular GRC automation product that help address common Cybersecurity, Governance, Risk and Compliance challenges.